Programming Officer, Assistant Executive, and Medical Officer Posts. 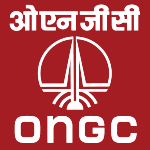 Who are eligible and interested they can apply online mode by visiting official site of ONGC. Candidates also check other details related to ONGC recruitment 2015 like how to apply, exam syllabus, previous question papers, exam pattern, model papers, sample papers and more information check its official site.